Yesterday, I had beta launched an online edu-news portal. For those of you who follow me on twitter and facebook would have gotten the news. 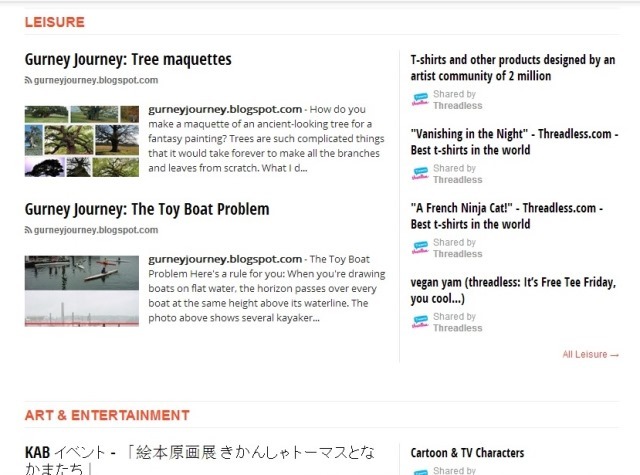 The idea to launch a news portal has been on my mind for some months, but the plan to launch it was still blur. Why would I launch a news portal? Do I need a team to collate all the news out there? To be clear, the JOSHLAB Bulletin is only distributing news from around the globe on educational materials, news and events related to arts. * I do hope that in future, I can produce my own original arts events or educational materials that serve a meaningful purpose to the local arts community. 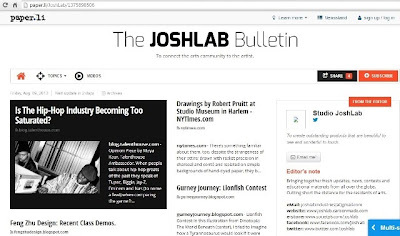 So the purpose of The 'JOSHLAB Bulletin' is, as the subtext indicate, to connect the arts community to the artist - the amateur and new artist. However, hopefully it will serve my professionals friends some good too. With most of the global art news and educational materials all in one place, I sure hope it will gives the the new artist somewhere for a head start. I would wish I had some help when I just got started. Feel free to leave your comments and feedback on how I can make 'The JOSHLAB Bulletin' better. *Disclaimer: All news articles and weblinks belong to the rightful owners, unless otherwise stated.